Home / News / Ram Charan adopts a village on Pawan Kalyan's request! Ram Charan adopts a village on Pawan Kalyan's request! 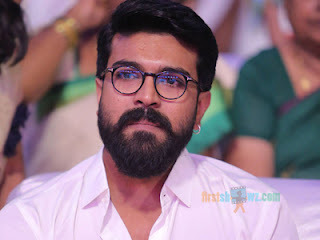 After Pawan Kalyan asking Ram Charan to adopt a village which is affected by the cyclone Titli, the Mega Power Star immediately obliged to his Babai's order and released a press note on Sunday stating that he will adopt a village, and further will announce his village adoption plans. "During his tour of the cyclone hit regions of Srikakulam and Vijayanagaram, Kalyan Babai suggested that I adopt one of the affected villages. I'm glad that Babai came up with this idea and which makes me extremely happy and privileged that I'm in a position to contribute and make a difference. I've decided to implement Babai's suggestion and have already discussed it with my team to initiate the process. My team would identify the areas which would benefit with my contribution and I shall make an announcement regarding the same very soon." Fans were happy that Ram Charan has responded in a positive way to his Babai orders, and their affection and bond between them.